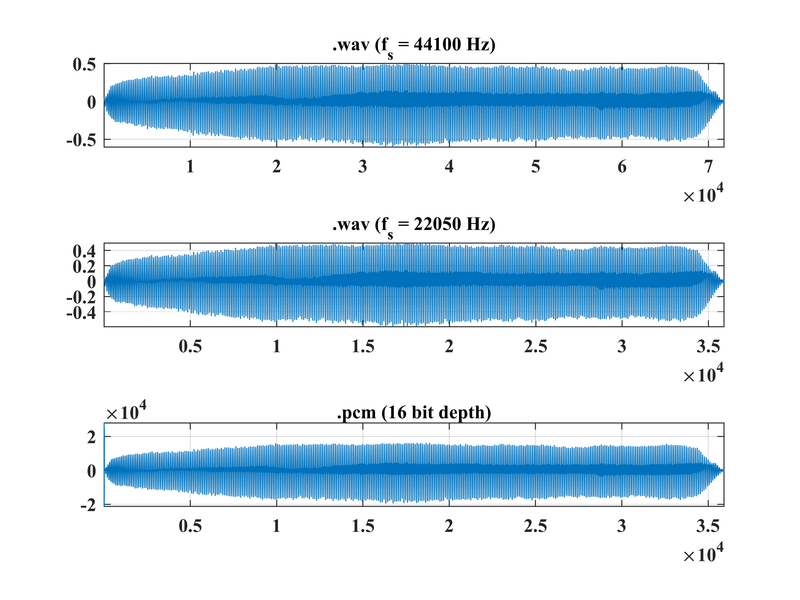 I want to convert a .wav file with a sampling frequency of 44100 Hz to a 16 depth .pcm. 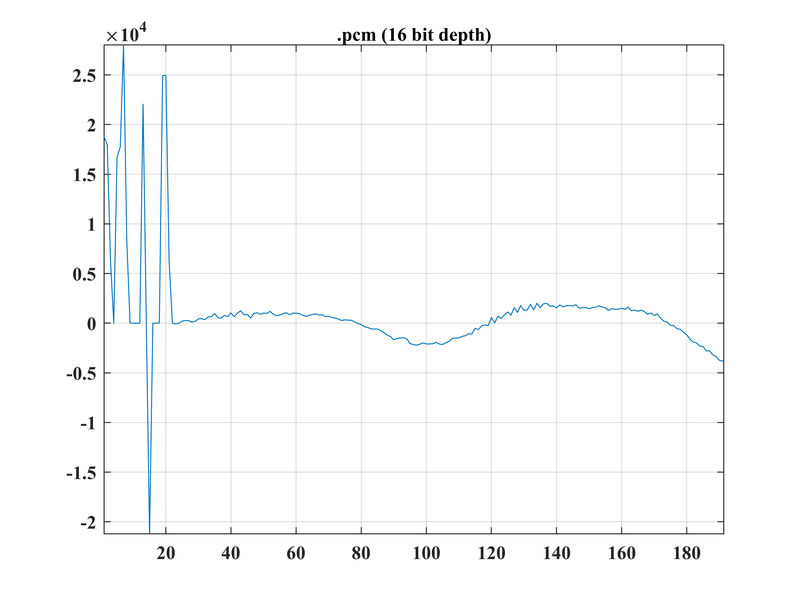 I don't why I'm getting those peaks at the beginning of .pcm plot (second figure below 2). If you could explain and tell me how I can correct it, I would very much appreciate it. That sure looks like your are including the .WAV file header as part of your data. When you read your file in, and write it out, using the file operations, you are not accounting for the header. The header can vary in size (it's actually three RIFF headers), but is usually 44 bytes long. Do a search on "Wav file header" and you can get lots of details. If you don't need any of the parameters, I suppose just looking for the "data" in the header and the next 4 bytes are the UINT32 value of the length. So your data starts the byte after. Otherwise, follow the RiffLength and FormatLength to get to the DataID field. The file can be mono or stereo, 8 16 or 24 bit, etc. Not the answer you're looking for? Browse other questions tagged matlab audio pcm or ask your own question. How can I read PCM linear file in Octave?